If you are a Daily facebook user or a facebook addict, you might have come across some Facebook Page without Name . Well at that very moment you must have thought about how did these guys can create it. You might have evengoogled it , but never succeeded. Creating Facebook Page without Name is as simple as 1,2,3 . Just be with me and by the end of this tutorial you will be able to Create one by yourself. We will be Using some Arabic characters to Create a Facebook page with no name. HOW TO CREATE FACEBOOK PAGE WITHOUT NAME? Step 1: Login to facebook and click on Create page or just click Here . Step 2: Now Click on Company, Organization or Institution (Not mandatory You can click on any.) and Choose aCategory, again you can choose any it doesn’t really matters. Step 3: Now copy the below characters and paste in the place of name just like shown in below picture and Check the box which says i agree to facebook pages terms. Step 4: Now, Click on Get Started, Give a short description and click on “Save info” now you can click on skip, skip and skip . Step 5: With this said, We have successfully created a page , But we can see the Characters which we entered earlier, we are making a page without any name or Character. Now in admin panel, click on Edit Page > Edit Settings. Step 6: Click on “Page info” , the first thing you will see will be the Name, Click on Edit and use your Backspace key to Delete everything from the box. 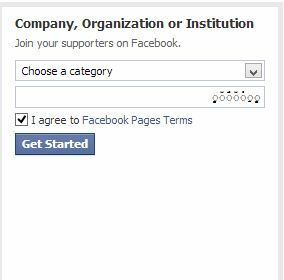 Step 8: Click on View page to check your Facebook Page without Name. 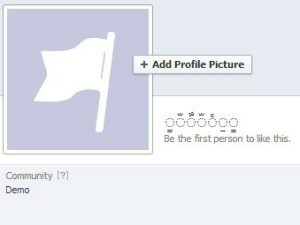 Step 9: Upload a profile picture and Cover photo if you want. Now its Time to Show your Page with No name to your Friends. Try it by Yourself While its Still working. Note: The Code and the Trick to Create Facebook page without name is not working any more, This trick was working fine at the time of Creating the tutorial. There is still one or two pages on whole of fb which has no name.